Having a lake just steps away from your apartment is a luxury most people would be thrilled to have. 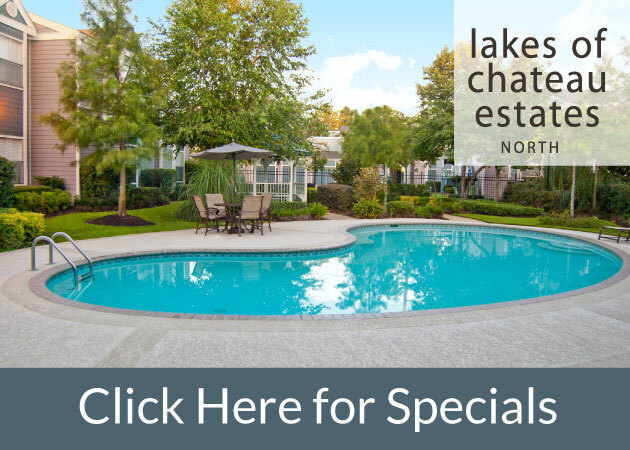 For residents of 1st Lake’s Lakes of Chateau Estates South apartments in Kenner, that dream is a reality. The on-site lake provides a serene escape from the city, picturesque views and a perfect location for a fishing rodeo! Last month, on June 9, these Kenner apartments held their second annual Fishing Rodeo, after the inaugural one in 2012 was such a success. The rodeo took place from 10:30 a.m. to 2:00 p.m. and all of the entree fees were donated to the Metropolitan Women’s Shelter, going towards a very important cause that is meaningful to the team at Lakes of Chateau Estates South. The Fishing Rodeo was quite the exciting and competitive event. Prizes were awarded for the biggest fish caught, the most fish caught, the smallest fish caught and the oddest catch, to throw a little humor into the competition. The very happy first place winner received over $200 in gift cards and prizes. Cox Communications, Hd Supply, Cort Furniture, Integrity Carpet and Paramount Pest Control were all sponsors for the Fish Rodeo Prizes. To fuel the hungry contestants, lunch was provided by Papa John’s which donated 25 pizzas. If these kind of exciting summer events look fun to you, consider being a resident of one of 1st Lake Properties’ excellent apartments for rent in the New Orleans area!